“Hodogaya Soda Works”, a private enterprise was established. Production of Japan’s first electrolytic caustic soda was started. Production of PTG, raw materials of elastic fibers, started. Production of Hydrogen Peroxide started. Production of Urethane waterproof materials started. First in Japan. Production of Charge Control Agents for toner started. Production of Organic Photo Conductor materials started. Establishment of Hodogaya JRF Contract Laboratory Co., Ltd. Establishment of Hodogaya Agrotech Co., Ltd. Establishment of Hodogaya Logistics Co., Ltd.
Production of Hole Transport Materials for OLED started. Development of Electron Transport Materials for OLED. Establishment of Hodogaya UPL Co., Ltd.
Investment in stock SFC Co., Ltd. Adoption of Company with an Audit & Supervisory Committee. 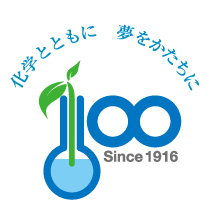 100th anniversary of its establishment. Additional Investment in stock SFC Co., Ltd.